St. Pete tech startup Webtalk believes it can be the next Facebook by allowing users to better control over connections. ST. PETERSBURG, Fla. — R.J. Garbowicz isn’t getting a whole lot of sleep these days. “I’m working about 20 hours a day,” says the 35-year-old tech entrepreneur. 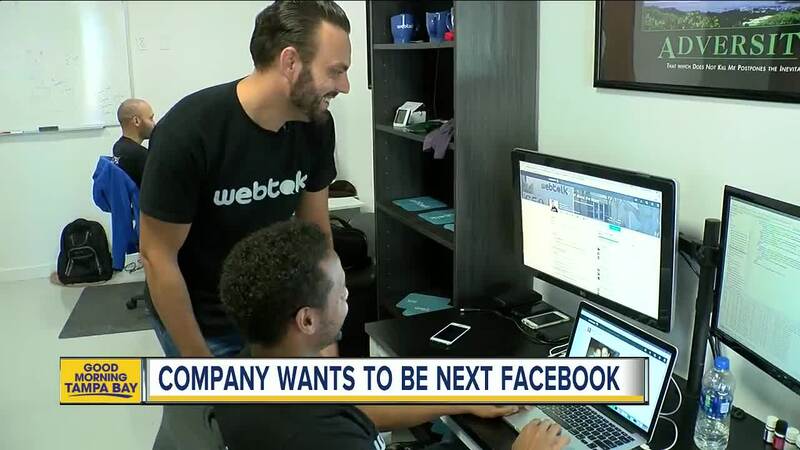 But that’s the reality for the CEO of Webtalk , a small downtown St. Pete company that believes it can be the next Facebook. The social media site, which is free to use but still in invite-only mode, takes popular elements from established companies — Facebook, LinkedIn, Instagram and various online marketplaces — and merges them into “one-stop-shopping,” says R.J..
Webtalk, which is offering revenue-sharing to early adopters of the site to help expand its audience, already has almost half-a-million users worldwide. R.J. says a huge part of Webtalk’s appeal is control and privacy when it comes to who sees what.